The Marvel universe has faced some incredible disasters over the years. 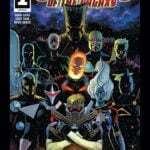 The government has pitted our heroes against each other, a mad titan wiped out half the universe, a race of shapeshifting aliens has infiltrated Earth and so much more. 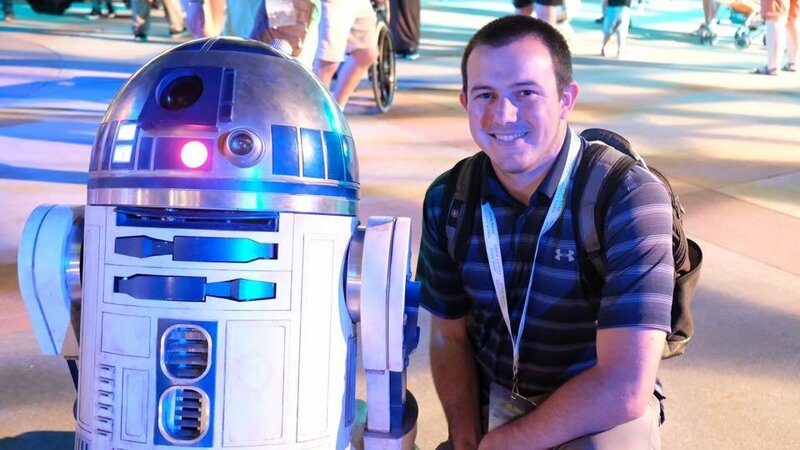 Now it looks like our favorite heroes have yet another war on their hands. 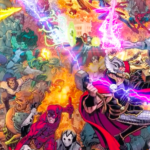 “War of the Realms” is the next big Marvel crossover event and the first issue is here. Thor, The Avengers, Spider-Man, Doctor Strange the heroes of Asgard and so many more will have to join forces to stop Malekith and his dark armies. 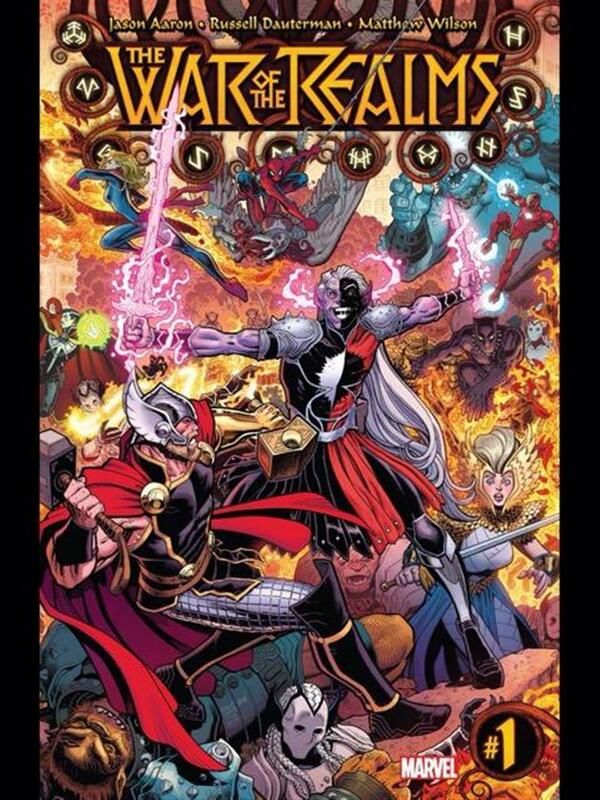 At its core, “War of the Realms” is a Thor story. 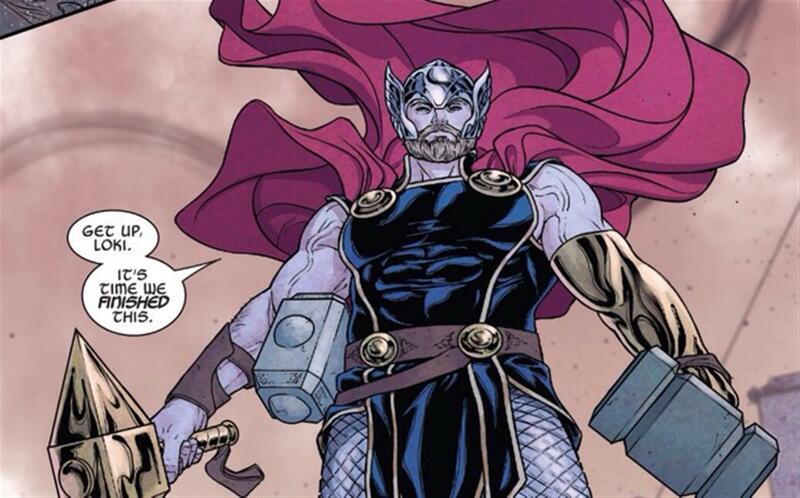 Thor, Loki, Lady Freyja and other Asgardians are the key players of this arc. 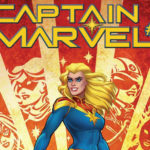 That being said, it also features many of the other fan-favorites like Spider-Man, Captain America, Iron Man, Captain Marvel and more. Malekith, who you may remember from Thor: The Dark World, is the primary villain in this story. He’s orchestrating a massive war, which of course was foretold by the Asgardians who always seem to see these things coming but tend to do nothing about it. The dark elf has assembled an army of the worst creatures from the ten realms and has brought the fight to Midgard, where, of course, our heroes have met them to resist. While Thor and Loki are at the center of this story, it’s Spider-Man that steals the show in this particular issue. 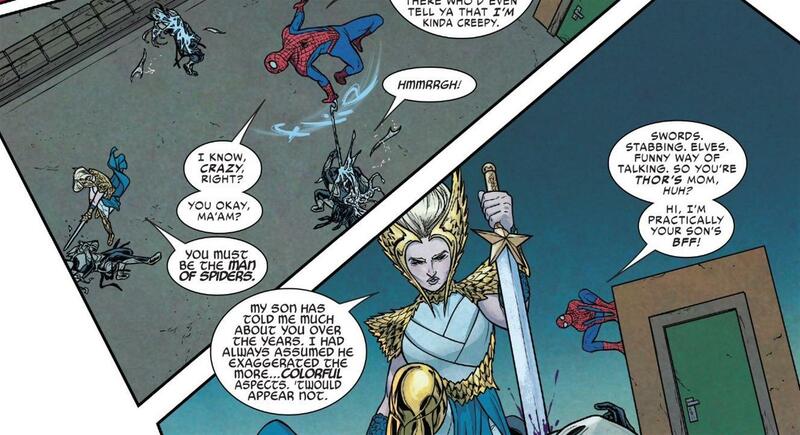 Lady Freyja, the mother of Thor, is attacked by Malekith’s dark elves and the web head swings to the rescue. As per usual, his banter is worth a few laughs. 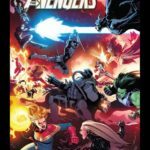 As is usually the case with the start of a massive Marvel crossover event, there’s quite a bit of context you’re going to be missing out on if you’re not up to date on your recent series. For example, a very peculiar lineup of Avengers shows up to the fight, which you would only recognize if you’re reading the team’s current run (check out our review of issue #17 here). The story wastes no time getting into the action. After a brief explanation of the ten realms, we immediately get a fight on asgard, followed by Thor getting an unexpected visitor. A few pages later we’re right in the thick of a huge fight with Earth’s mightiest heroes. 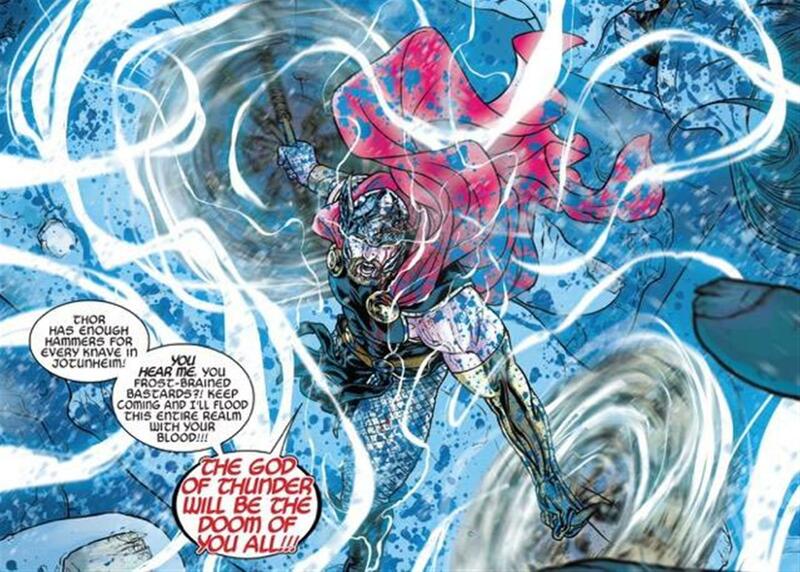 Writer Jason Aaron and artist Russell Dauterman have the makings of something special here. Personally, I’m not the biggest fan of Malekith as a villain, but they’ve made him the key antagonist in a story and raised the stakes to the level of a much bigger foe. Speaking of Dauterman, the art in this issue is fantastic, bringing your favorite characters to life in a style that is simultaneously dark and colorful. The visuals of the battle feel gritty and add another layer to those aforementioned higher stakes.